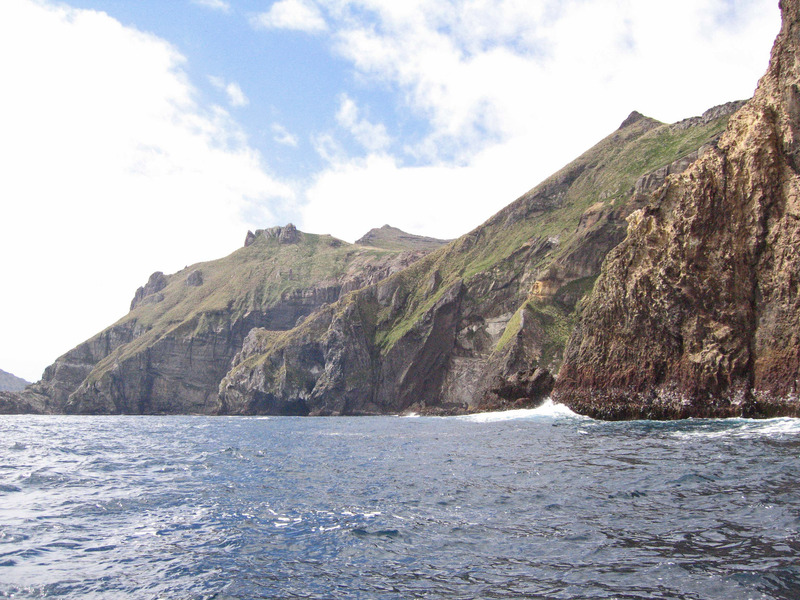 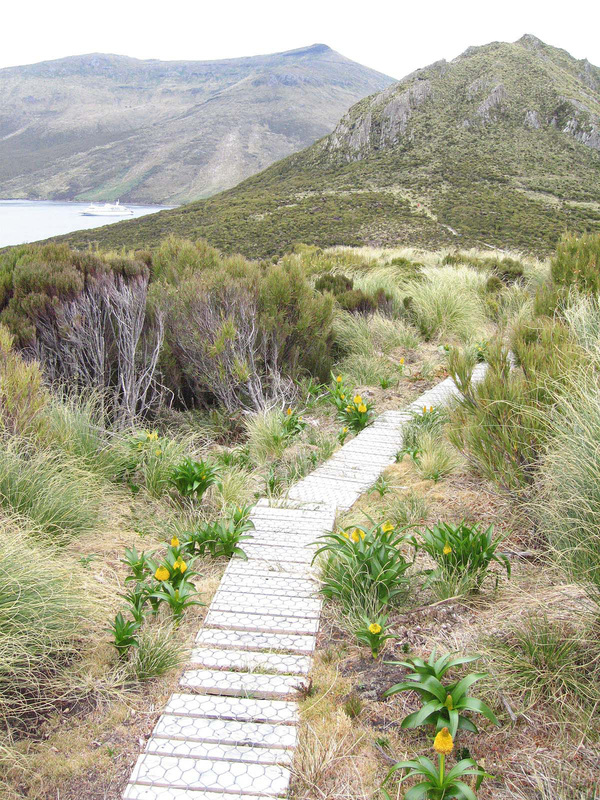 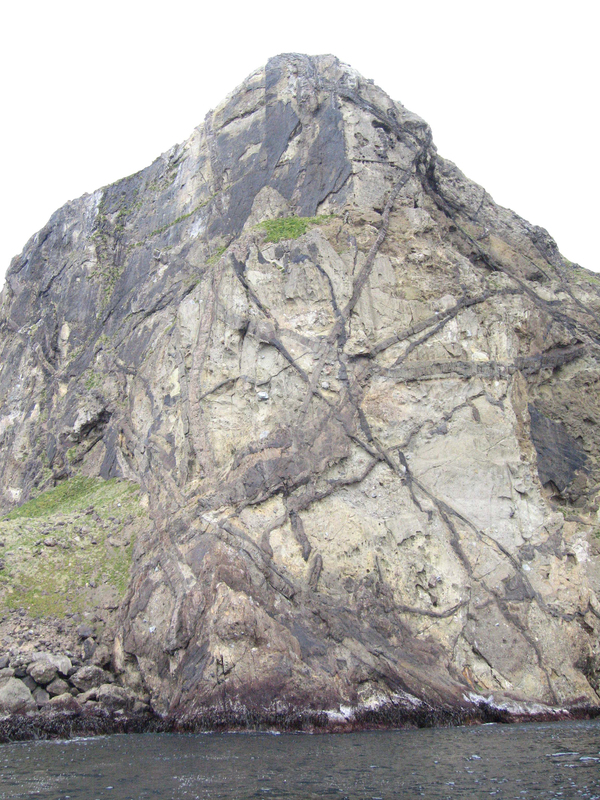 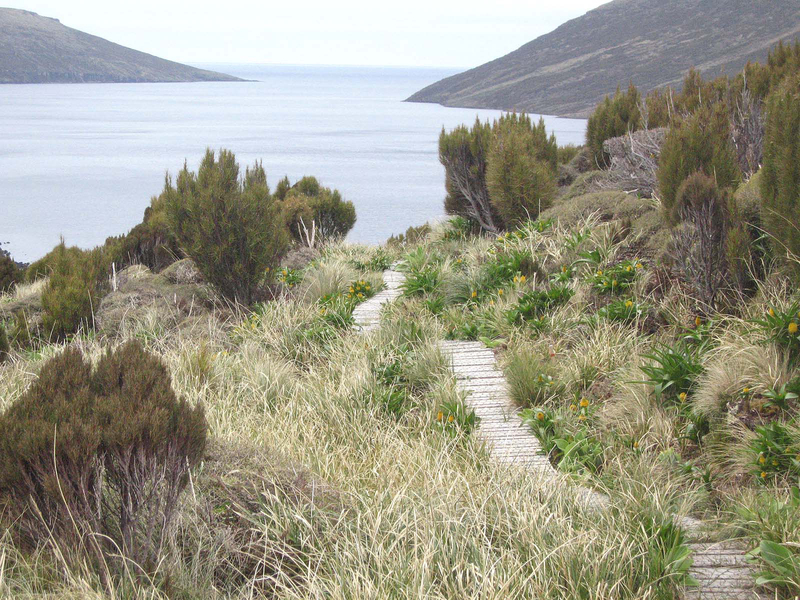 In striking contrast to Macquarie Island , Campbell Island is thought to have been formed, for the most part, by a shield volcano whose periodic eruptions covered about two-thirds of the surface. 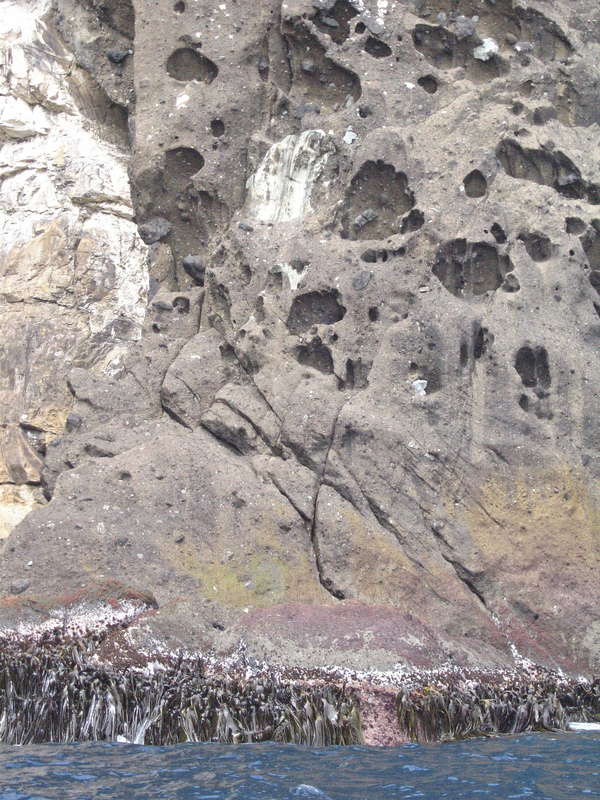 On the west coast, there are thick layers of ash with pyroclastic inclusions. 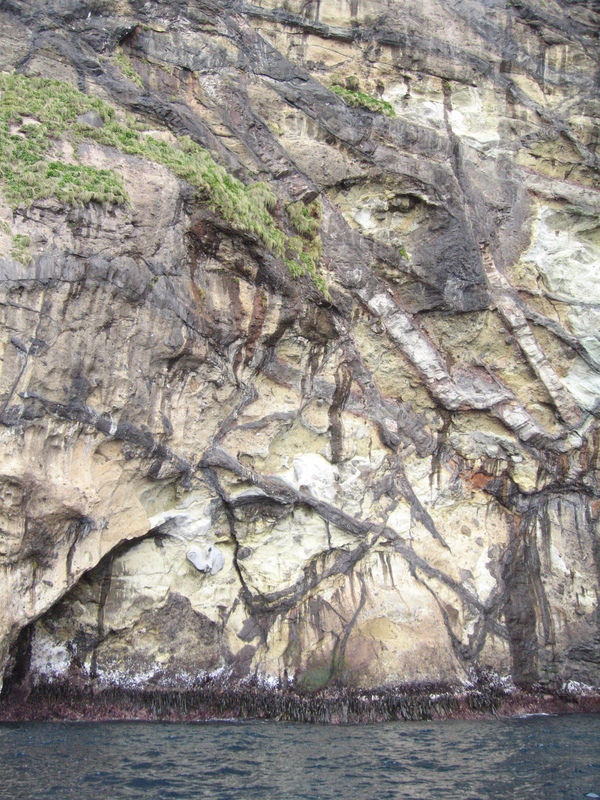 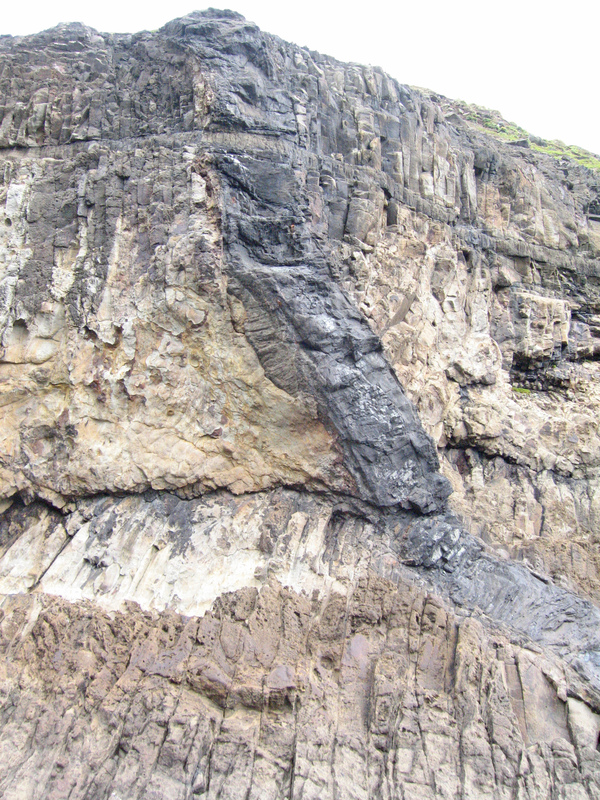 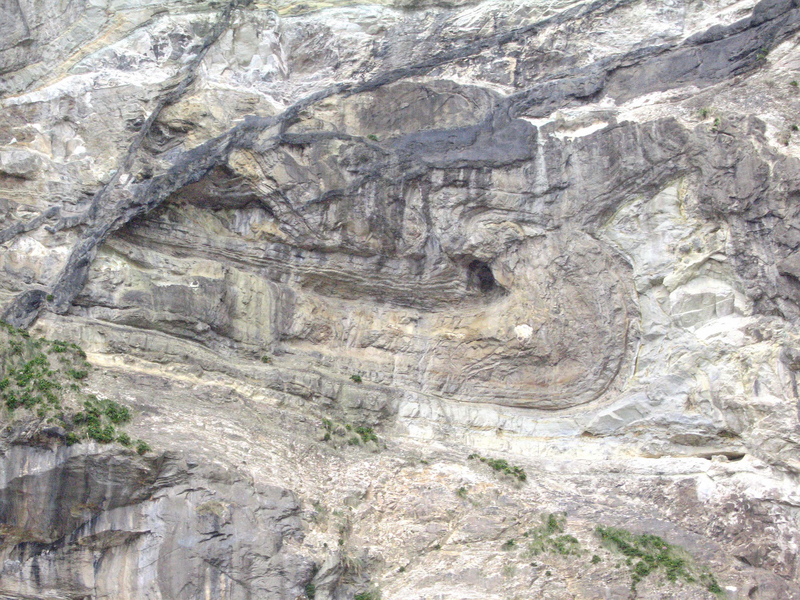 Numerous basaltic dykes intrude into sedimentary rock. 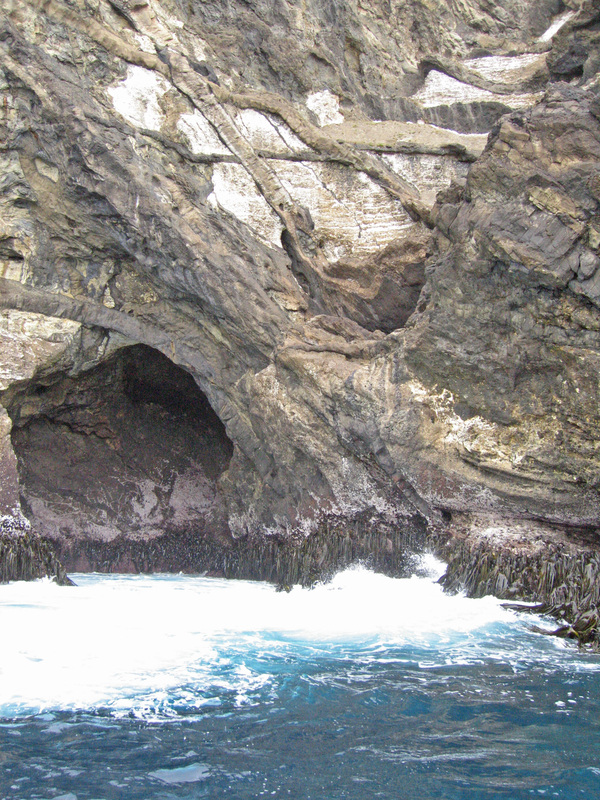 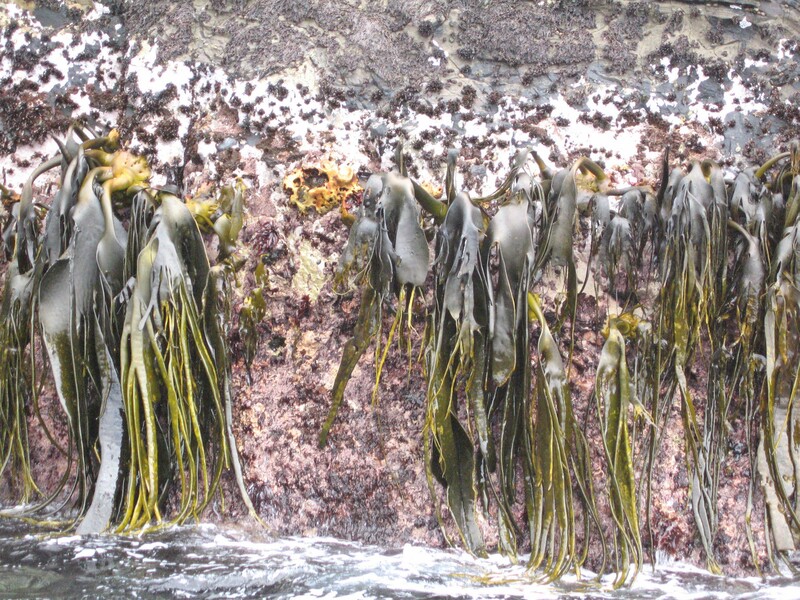 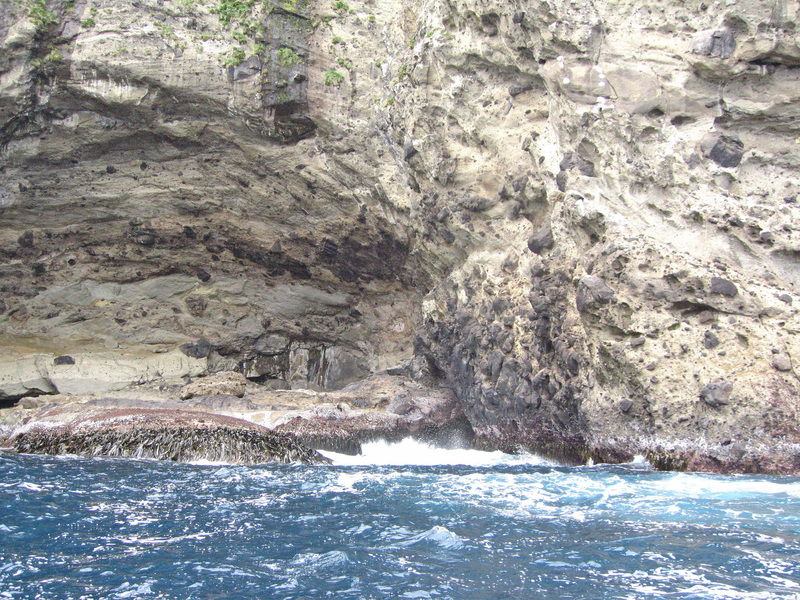 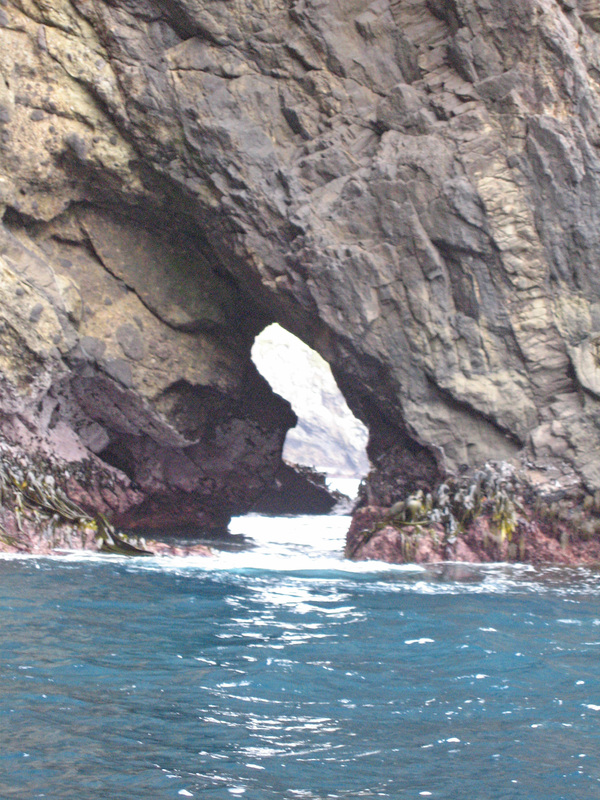 The west coast has high cliffs with numerous caves and arches formed by marine erosion. 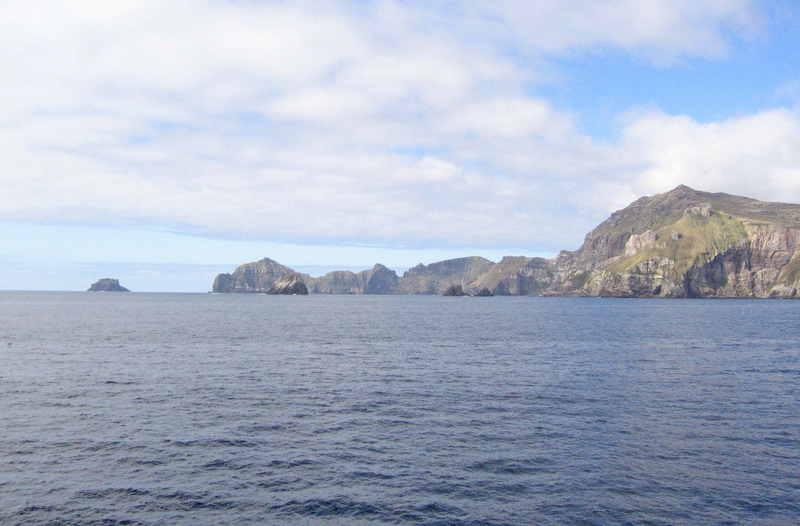 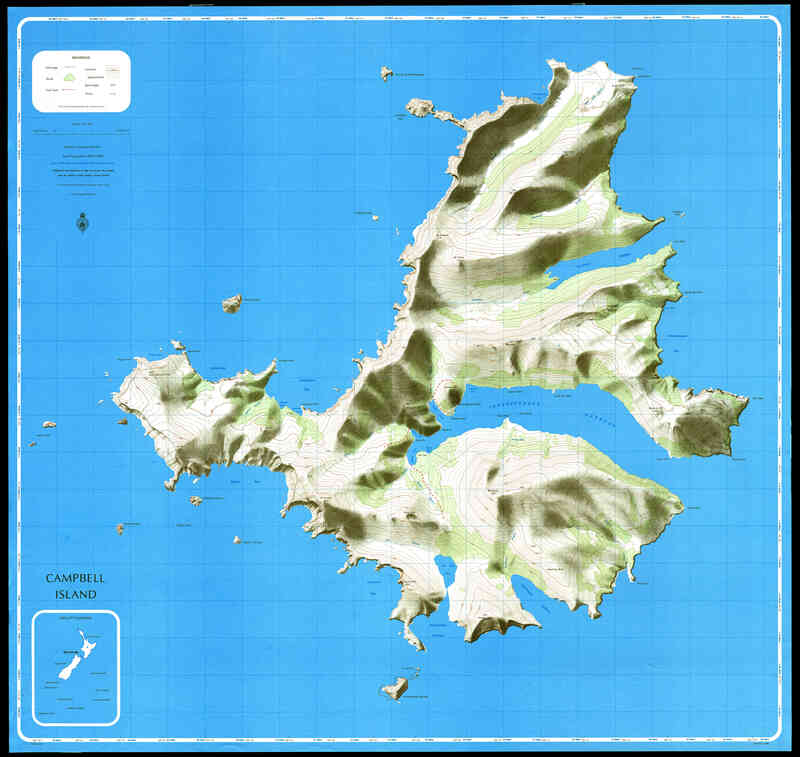 The effects of glaciation can be seen on the east side of the island.